Yesterday, we reported on a possible NintendoWii Mini, the report came from Nintendo World Report, that detailed an inside retailer telling them about the up-and-coming launch. While we said it probably was not true, given the push to get Wii U sales at the top, Best Buy have released images on their Canadian website. Nintendo have redesigned the predecessor of the Wii U from the bottom up, making the console very compact. Nintendo seems to have taken notes from Apple’s naming process when creating the Wii “Mini” and we actually think it fits perfectly for this smaller device. After Best Buy unleashed the new console, Nintendo announced, “The system launches in Canada on December 7th with a suggested retail price of $99.99. No announcements have been made regarding other regions.” quickly affirming that this may be a Canadian only release, for the time being. The redesign will now allow a flip-design to open the console and add discs, instead of the touch-press that degrades after a few years. While this does make the new console feel rather basic, like the old PS1 style opening, it may pay off in the end for Wii fans. 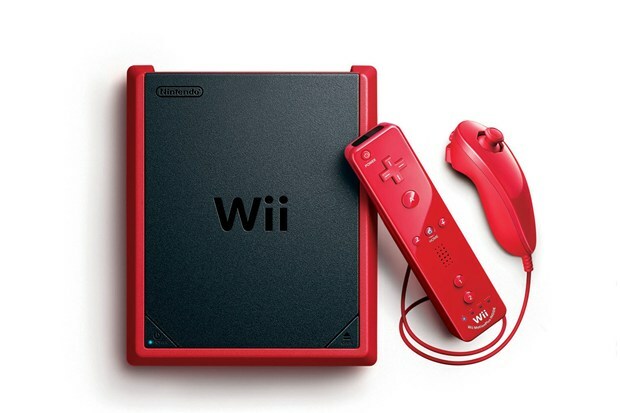 “The red and black Wii Mini system comes with the console, sensor bar and a Red MotionPlus controller with Nunchuk.” and we do not think that it will come with a Wii remote jacket, at the introductory price of only $99. Nintendo may ramp up the price later, although they must wonder who is going to buy a Wii that is $159 or $199. The game console comes without internet connectivity, so it really is a basement device for Wii fans only. This means that system and game updates will be unavailable and once you have your console that is it. While this may put Xbox 360 and PS3 fans off the console, it may bring a few people that want the Wii experience back at a cheap price. Wii Mini is only available in Canada for the time being, we hope to see it come to other markets.